Tonight’s the night-see you all this evening for our TechTalk seminar on cryptocurrency with Melissa Jobe and Lauren Browne of Blocksperity Capital, Kansas City’s first cryptocurrency investment fund. Join us tonight at Mazuma Credit Union in Overland Park for networking and exploring cryptocurrency in this free speaker series. Learn more with our link in the bio! Taking over thousands of different forms, the value of cryptocurrency mostly lies in the “utility that the technology is providing”, said Lauren Browne. Browne and Melissa Jobe are the founders and managing directors of Blockesperity Capital, Kansas City’s first cryptocurrency investment fund, Browne and Jobe bring years of working with Fortune 500 and 100 companies to their approach to providing the Kansas City community with access to learning more and investing into various types of cryptocurrency. Browne and Jobe shared their insight into cryptocurrency during our Kansas City Women in Tech August TechTalk at Mazuma Credit Union in Overland Park. Going beyond monetary assets, Browne and Jobe discussed block chains and how cryptocurrency can process data; so it is “important to know what you’re investing in”, said Jobe. Working in cryptocurrency investment, a relatively new frontier for the mass public, Melissa Jobe and Lauren Browne have come across varying first impressions of people when first exploring cryptocurrency. Beyond exploring the network value of cryptocurrency, Melissa Jobe explored the various authentication software and best practices with TechTalk participants for those interested in investing into crypocurrencies like Bitcoin or Litecoin. Many thanks to Lauren Browne and Melissa Jobe for an in-depth introduction to cryptocurrencies and Mazuma Credit Union for hosting our August TechTalk. View our Instagram photo below for more information on how to learn more about cryptocurrencies from sites Coindesk and Medium. Are you interesting in staying on top of the latest practices and trends in technology? Join us for our free monthly TechTalk speaker series around Kansas City. Explore the role of Business Analysts with a Q&A panel with local women professionals during our upcoming September TechTalk on Wednesday, September 19, at the Kansas City Public Library-Central branch. Thanks to Lauren Browne and Melissa Jobe of Blocksperity Capital for diving into cryptocurrency during last night’s TechTalk seminar. We enjoyed learning more about this growing “disruptive technology”. Thanks to @mazumacu for hosting us! Melanie Garvey is a Coding & Cocktails alumni who just wrapped up her associate’s degree in web development at Johnson County Community College. Just before graduation, she was offered a role as an integration engineer at Mylo, a division of Lockton Insurance. KCWiT: Melanie, tell us about Mylo. What do they do? Melanie: Mylo provides consumers with the market’s most competitive and customized insurance quotes. Our digital approach makes the process of purchasing the correct insurance policies more efficient so each consumer can feel confident that what matters most to them is covered. KCWiT: What do you do as an integration engineer? How is that different from web development? 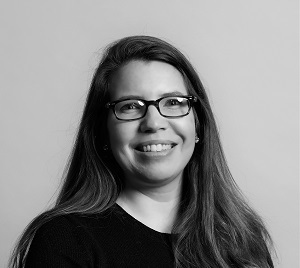 Melanie: The role of Integration Engineer serves as a technical liaison between our internal teams and clients. As apart of the engineering team I do actively write both front-end and back-end code like any other web developer. However, it is also my responsibility to accurately represent our capabilities and gather the information needed in order to find the best technical solution for our clients. KCWiT: What would you like to tell other KCWiT members about interviewing for your first technical role? Melanie: It was intimidating but I was able to put the nerves aside, be myself and use my studies/knowledge to answer the questions to the best of my ability. KCWiT: What led you to pursue your web development certificate? Melanie: There are many reasons that led me to go back to school to get an Associates in Web Development from JCCC. I have a liberal arts and marketing background so I always thought that a career in tech was out of the question of me. However, I discovered code while writing a blog that I started as a creative outlet & found myself wanting for find out more. KCWiT’s Coding & Cocktails surfaced in my search & after attending a couple of classes I was hooked. KCWiT made the idea of taking this hobby and turning it into a career not seem so far-fetched & out of my reach. KCWiT: Have your experiences with KCWiT helped you professionally? If so, how? Melanie: Yes! More than anything KCWiT helped me come out of my shell. I became not so intimidated by tech because I realized that people in tech actually come from all kinds of academic and professional backgrounds. KCWiT: Now that you have graduated, what is the next thing you are looking forward to? I’m looking forward to continue to learn as much as possible and studying the science of web development. Code is all around us so having insight into how that technology works is a powerful skill. You can connect with Melanie at https://www.linkedin.com/in/melanie-garvey/ or give her a shout out on Slack! Applications for Django Girls Kansas City 2018 close Saturday, May 26! As I opened my application late last spring for Django Girls Kansas City 2017, I remember feeling nervous. I had very elementary programming experience, having attended several Coding & Cocktails sessionswith Kansas City Women in Technology and having worked independently through several Coursera courses on R and Python. Still, I wondered, did that leave me not qualified enough to participate in Django Girls? Was I too qualified, so then I would have to serve as a mentor? Turns out, I had nothing to worry about (side note: a running theme in the category of Things I Tend to Worry About in My Life). I was honest on my application about my experience to-date, and it was enough to earn me a spot at the table in honing my elementary coding skills as a participant. Perhaps you are working on your application right now, or maybe you have thought about applying but still are not sure as to whether you should. With the deadline approaching at the end of this week, if you have thought even once about applying for Django Girls Kansas City 2018, please do so. 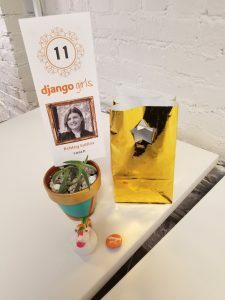 That shows your desire and drive to learn new skillsets, and those are among the qualities of a stronger contender for participating in Django Girls Kansas City. Application question: Why do you want to attend the workshop? Your answer: Think about how you use technology in your everyday life and how you might leverage the skills you learn at Django Girls Kansas City to better those experiences. For example, those who work in graphic design or instructional design might build a website to leverage their freelance work or to strengthen their creative and critical thinking skills. Application question: current occupation. Sure, you have a formal job title, but how does technology relate to that role, as well? If you are a student, how could learning more HTML, CSS, and Python help strengthen your studies? If you are a working professional, what facets of your job could be improved from studying new-to-you technologies and frameworks? Application question: How will you spread the word about Django Girls Kansas City after the event? Your answer: Think about your professional and personal networks. Could you encourage them to participate next year, as well? If you are active on social media, you could post your milestones throughout the day, to encourage others to learn more about Django Girls. Remember, too, that Django Girls is an international nonprofit, and one way you could make a difference afterward is in making a donation. Just the other day, I was reflecting upon the Winston Churchill quote, “Plans are of little importance, but planning is essential.” There is no way to fully predict what you will learn in participating in Django Girls Kansas City 2018 – that’s the beauty of learning a new skill. (Most of what I learned last year is how much I still have to learn and how that is completely okay.) But in taking some time to complete your application, you set yourself up for planning a day that will likely open up a world of new opportunities for you. I will always remember my first computer, mostly because I had two of them: One was a portable VTech PreComputer 1000 that I spent hours alone with in the evenings. I answered the trivia questions it had among many different categories, eventually memorizing the questions that slowly scrawled across the screen and typing the answers before they had a chance to finish. 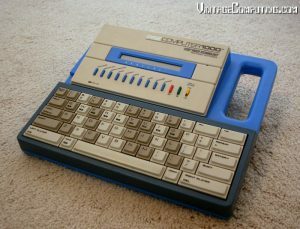 My other first computer was a DOS. I spent many hours on floppy disk-based games, where my favorite was a word-command game called The Lost Crown of Queen Anne. As I waited for Solitaire to boot up, I got so good at typing the few start-up commands that I could type them in a quick succession, hit Enter in the right places, and run into the next room to grab a piece of gum and sit back down at the computer just as the decks of cards were starting to line up. Twenty-five years later, I share these memories of my first two computers for good reason: I always wanted the opportunity to attend computer camp, but I never had the chance to do so. Last year, I had the opportunity to achieve my childhood dream alongside women of all backgrounds, ages, and abilities as I participated in Django Girls Kansas City. The day left such an impression on me that I am back this year on the coordinating team. I want to encourage other women to also participate in Django Girls Kansas City – or, if you have advanced technical and critical-thinking capabilities, I encourage you to apply as a mentor. Access to unbelievable mentors: The mentors at Django Girls are high quality, and because of their gracious donation of their time, I was able to ask lots of questions, in addition to making lots of mistakes, without judgment and in a safe, learning environment space. Challenging, and developing, critical thinking skills: While I am not a full-time developer, participating in Django Girls allowed me to further strengthen and develop my critical thinking skills, which is applicable to any job/sector, as well as in school. There also is great satisfaction when you solve a problem in coding, and Django Girls provides lots of opportunities for those small victories throughout the day! Lifelong learning: We are definitely at a point in our economy where lifelong learning is a must. Django Girls is an opportunity that allows for that lifelong learning and curiosity, regardless of experience levels. While it is encouraged that everyone aim to complete the curriculum, the day truly is what you make of it. Having obviously graduated from my first two computers, today I’m on an HP ProBook 4540s. We’re going on five years together, and as strange as it sounds, I know someday I’ll have to say goodbye. It’ll be challenging because I’ve accomplished a lot through this computer: I’ve applied for jobs. I’ve worked remotely. I’ve completed an entire master’s degree on it – and we attended Django Girls Kansas City together. But there will be other computers, and at the end of the day, a computer is a wonderful tool that helps us realize the potential within us we may have not known existed. Apply for Django Girls Kansas City 2018 today, and I think you will see what I mean. 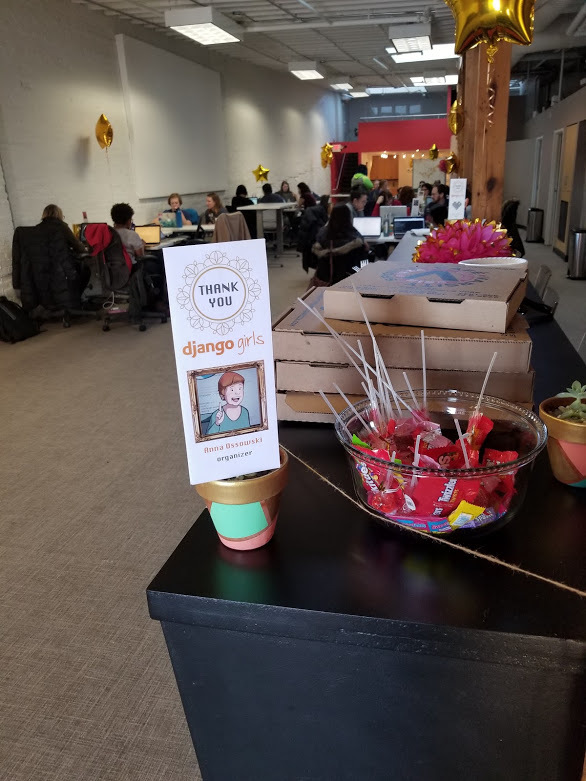 On February 16th, three Kansas City Women in Technology members set out on a journey from Kansas City to Omaha to help with the first ever Django Girls Omaha. This group included KCWIT’s Membership Chair, Tamara Copple, her husband Matthew Copple, and myself. 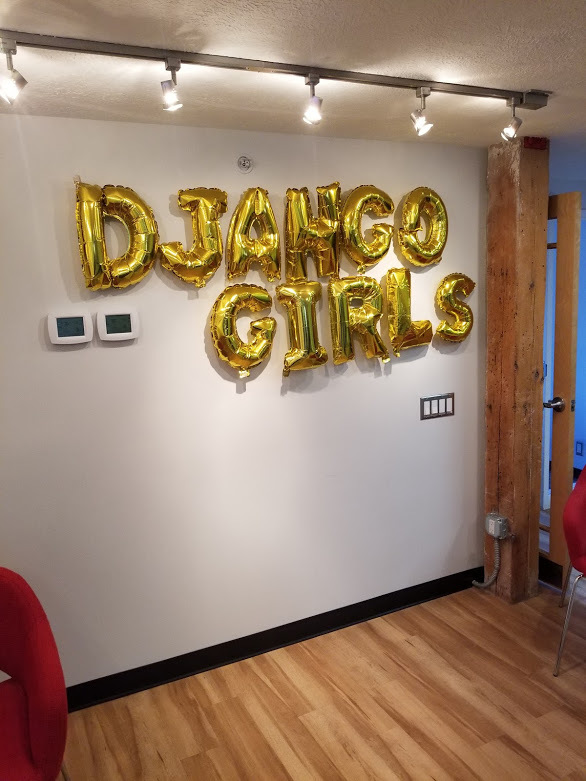 What is Django Girls, you might ask? It is a weekend long workshop that helps women gain programming skills by creating a blog website using the Django framework. A framework is a set of tools used as a foundation for many applications. There’s a saying in development that you shouldn’t reinvent the wheel, and using tools that developers have already built, like Django, allows you to create an application in a quick, efficient manner. Django Girls workshops have taken place all over the world and are organized by developers in each community. Django Girls Omaha was organized by three wonderful ladies: Sandi Barr, Naomi See, and Anna Ossowski. Many workshops have an install party the Friday before the workshop officially kicks off, but Django Girls Omaha decided to switch it up a bit. Instead of having participants install Django onto their local computers, they had attendees use a program called cloud9. With Cloud9, everyone has the same development environment setup which allows the participants to focus on learning the programming material instead of getting stuck on any Mac or Windows specific installation issues. This saved a lot of time and attendees were able to get started working through the tutorial before lunch on Saturday. There was approximately a 2:1 mentor-attendee ratio at the event, with 10 coaches and 18 participants in attendance. This gave mentors the opportunity to get to know the attendees and learn why they decided to participate in the event. At my table, one of the attendees was a Computer Science major but had no experience working on a web app, while the other attendee had never written a line of code before the day of the workshop! It was a great reminder that Django Girls is an event that women from a variety of backgrounds can gain new skills from. We had pizza for lunch and heard some excellent lightning talks about various career paths that are available in the tech industry. When most people think of programming, they think of sitting at a computer all day debugging code, but the lightning talks introduced the attendees to people like Tamara, who is a Business Analyst, working to bridge the gap between engineers and business decision makers, as well as Jeannie North, who used the tech skills she learned in code school to build a website for her business, RipleyandRue.com. Anna spoke about her job as a Developer Advocate. She travels around the world speaking at various events teaching developers about the latest tools created by her company, Elastic, and gets people excited about programming by organizing events like Django Girls workshops. She was also an attendee at the very first Django Girls event! Would you like to attend a Django Girls event? Great news! Kansas City is having a workshop July 20th and 21st at the Sprint Accelerator. We’re looking for awesome women who want to take the next step in learning how to program by attending our super fun and FREE event. Are you familiar with programming concepts and want to get others excited about the tech industry? We would love to have you mentor at our workshop! 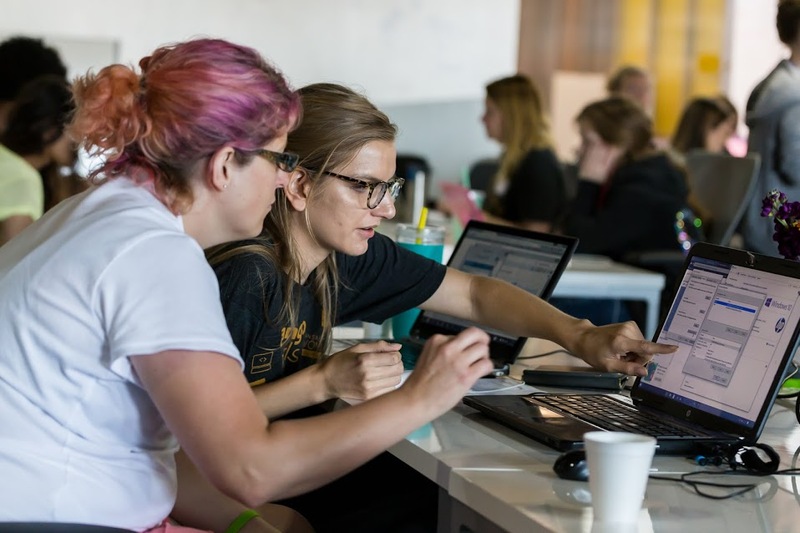 Applications for attendees and mentors can be found at Django Girls KC. 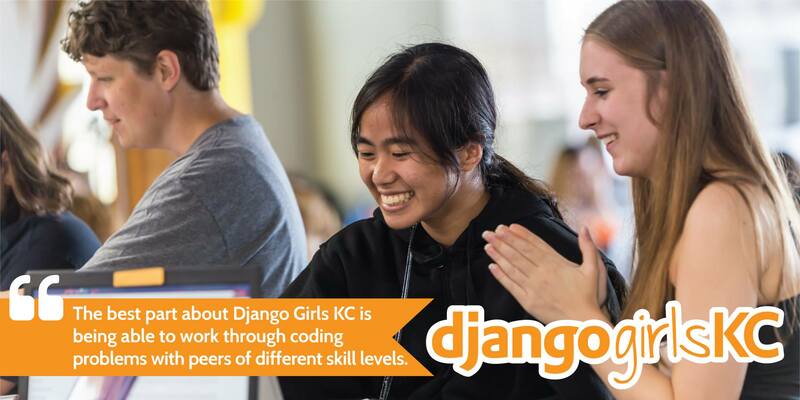 You can also email KansasCity@DjangoGirls.org with any questions you might have about Django Girls KC. Ashley Sullins is a Web Developer and Attendee Coordinator for Django Girls KC. Amy Norris, a graphic designer, wanted to expand her toolbelt of skills to include development. Not only did she graduate from LaunchCode’s first-ever cohort in Kansas City but she was at nearly every Coding & Cocktails class in 2016. In 2017, she became a Cocktails mentor, and late last fall, found her first full-time developer role through National Land Realty, whose CTO Ann Gaffigan is also a KCWiT member. Amy: Don’t panic! Speaking about technical interviews in particular, it can be as good to admit when you’re stuck on a problem as it is to get every answer right. It shows that you’re willing to admit your ignorance and ask for help. Amy: Absolutely! KCWiT introduced me to code, and introduced me to my new boss! I never would have heard about the job I have now if it weren’t for the KCWiT Slack channel. You can connect with Amy at Linkedin.com/in/norrisamy or give her a shout out on Slack! 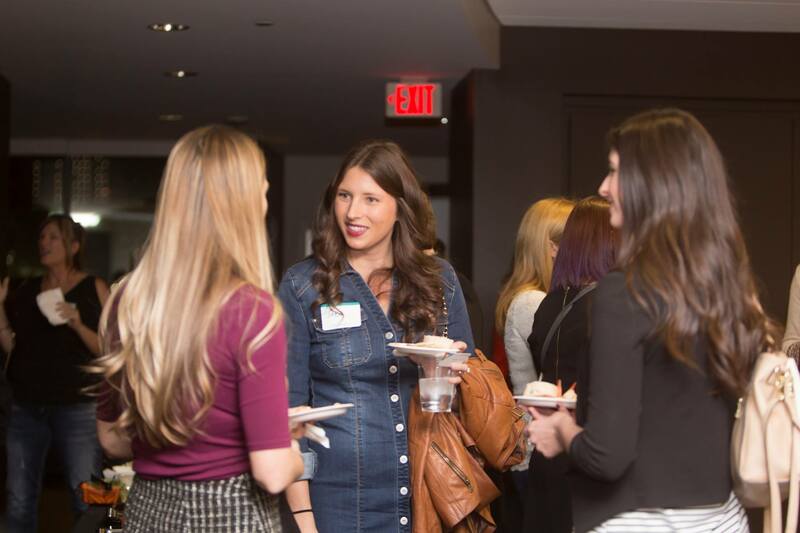 From web development, to design, to fulfilling business objectives; Kansas City Women in Technology’s TechTalks bring women from across all professional technology roles together to network, share career advice, and to connect. Whether you have been working in a technology field for years or are a technology enthusiast, TechTalks are opportunities to learn and grow. Our first TechTalk of 2018 is coming up Wednesday, January 17, at Google Fiber Space in Westport. This kickoff event presents an overview of all KCWiT programs, panels, and other events of 2017 along with a preview of what we have coming up in 2018. Read below to discover our September 2017 TechTalk which covered the area of user experience design. Enhancing development projects to drive sales and to engage users with ease of usability and conveniences. This intersection of marketing, design, and development form the practice of user experience design and the topic of our September TechTalk with the Kansas City chapter of UXPA. A panel of six local technology professionals discussed the diverse aspects of user experience design with TechTalk attendees during a Q&A session at the Federal Reserve Bank. The panel comprised of women working in a variety of technical roles with local Kansas City companies like Cerner, VML, Useagility, and Ziv. The panel discussed user experience design in regards to cognitive psychology, user profile creation, working with clients, and beyond. Pro tip: User experience personas or “aspirational personas” will help you in the design process, knowing what your broader audience is. Being multifaceted, working in user experience design is arrived at from many different paths. There is no research w/o design. Both have to be considered. Make a destiniction between user experience design and interaction design. If you’re interested in becoming more involved with other technology professionals, learning to use various forms of technology in your profession, or simply enjoy a night out, mark your calendars for our upcoming TechTalks. Register on our Eventbrite page for our January 2018 session. My road to code is not short nor straight for that matter. Being a Gen X’er I did not grow up with the internet we know today so I’m not a web developer that can say, “at age nine I made my first website.” Instead, I was the alien daughter of an engineer and a programmer that flourished in liberal arts. After graduating college, I spent fifteen years working at advertising agencies and three pivotal events unfolded during that time period that would tip my world into a 180 spin. First, the internet fundamentally changed how we consume media. Then the Great Recession cut all of the corporate fat and the ad industry really did not ever bounce back. And finally, the last blow was when my father passed away. All of this occurred in that exact same order over these fifteen years, and by the end I found myself wondering why I was in a career that I did not believe in and was struggling to keep. I will say that most people don’t know that what tipped the scales for me was due to the loss of a parent, but it is not something you casually mention in your career change elevator pitch. However, when a loved one passes away it makes you prioritize what is important. For me that meant that life is too precious to spend it doing something that you are not passionate about M-F which is where Coding & Cocktails entered the picture. My interest in web development started with a movie blog and some Codecademy tutorials but my curiosity did not end there; and through my search I found Coding & Cocktails. At my first Coding & Cocktails session in February of 2016 I realized that this hobby could be a career. This discovery was significant because all of my life my interests did not translate into a career. However, now those two were finally converging via web development. Additionally, at that first session I learned that at least half of the women there did not have a traditional computer science background. In other words, it was not too late for me to pursue a career as a web developer. Fast forward to now, the summer of 2017, and my world has once again done a complete 180. I quit my dreaded ad job and am a full time student in pursuit of an associates degree in web development with a graduation date of May 2018. I feel useful, valued, excited, and confident about my future as a web developer because I’ll be doing something that I not only enjoy, but that people actually need. I guess you could sum it up by saying that the tipping point for me was when my dad passed away, but the turning point was that blistery cold winter night when a dozen or so women ditched their weekend plans to come teach me at that first Coding & Cocktails session. Kelsey Leftwich may live in Tennessee, but she remains dedicated to Kansas City Women in Technology and its programs like Django Girls KC. 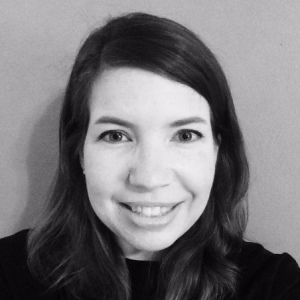 While Leftwich is originally from Kansas City and she attended the University of Missouri-Kansas City, she moved to Tennessee about a year ago, where her husband is attending graduate school. 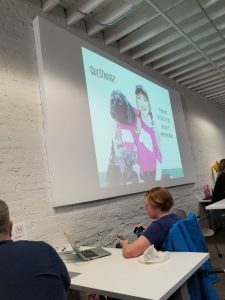 However, Leftwich is back in town this summer as her husband completes an internship at Saint Luke’s Hospital over the summer – and she jumped at the opportunity to mentor again for Django Girls KC. “I feel like Kansas City is the best place to be a woman in technology and a big part of that is the KCWiT community,” Leftwich said. Leftwich works as a software systems developer. She works closely with clients and subject-matter experts at her firm, where she develops software systems for businesses. The firm is made up a small, core group of people, and Leftwich is the only consultant whose focus is technology. “I get to wear a lot of hats like server administrator, database architect, and ColdFusion developer,” she said. Django Girls is a free, one-day programming workshop that connects women and girls with resources necessary to build their first web application using HTML, CSS, Python, and Django. 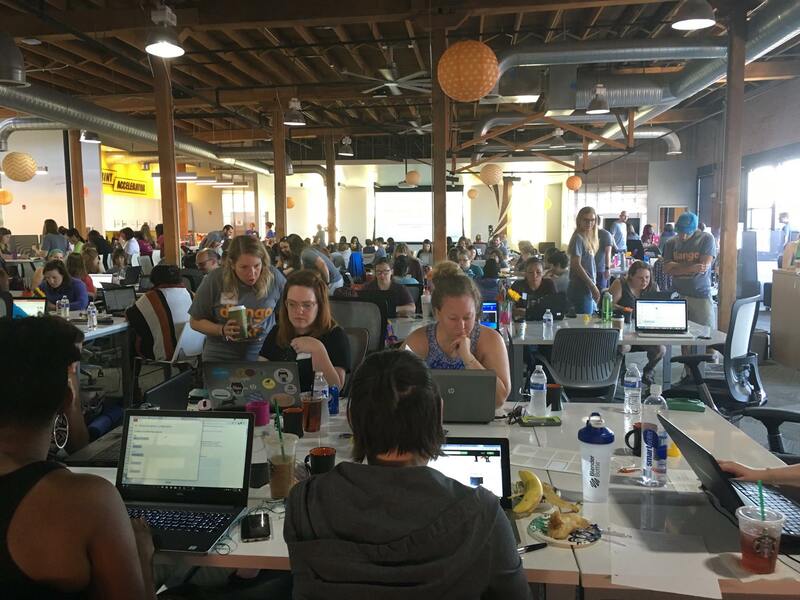 While applications are now closed for the 2017 Django Girls Kansas City event, you can learn more about the event online, as well as see the complete list of organizers and coaches. How did your interest in coding begin? When I was in grade school, I borrowed a videotape from the library and learned how to make rudimentary HTML websites using Microsoft Notepad. Like a lot of people, I had a bit of coding experience personalizing my Xanga. (Social media sure has come a long way!) When I went to college, I decided to take a programming class and fell in love with programming through Python. I got a bachelor’s in Information Technology from UMKC and work as a software systems developer for a consulting firm. How has your technical knowledge transferred into other aspects of your life? My work requires me to think about resources and how they are organized and connected. I know from experience detailed implementation is important but so is viewing the larger system as a whole. I also think that part of the programmer culture is to seek out the best tools and avoid excessive or redundant work. I try to think about optimizing other areas of my life in the same way. It can be as simple as organizing my kitchen and meal prep or as complicated as organizing a community event. Working on a really interesting project and getting into a programming flow state – hours fly by! What are the more challenging aspects of your career? I am the only consultant in my firm with a technical focus. It can feel isolating, especially since we all work from home and are far flung. Finding communities like KCWiT has been really important for me. What advice would you offer your younger self today, or to someone who is looking to shift careers into one more coding-based? I learned a lot watching Lynda.com videos and working through their courses. It benefited me to try a lot of different programming languages and put hours into coding and probably more importantly debugging. If you could tell the general public one thing about software engineers and what it means to write code, what would it be? There is creativity and craftsmanship that goes into making quality products. 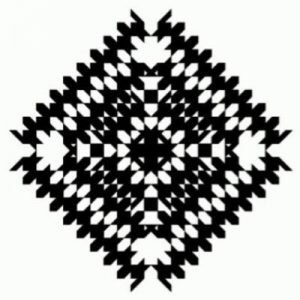 There is an artfulness to software development that non-developers might not be aware of. I take a lot of pride in making products that are functional, efficient, and maintainable. How do you envision STEM continuing to evolve into our daily lives? I’d love to see more interdisciplinary dialogue. We all have a lot to teach and a lot to learn. I think STEM professionals can bring a valuable set of skills to the table. Adrianne DeWeese is a Continuing Education Specialist at the Federation of State Massage Therapy Boards. 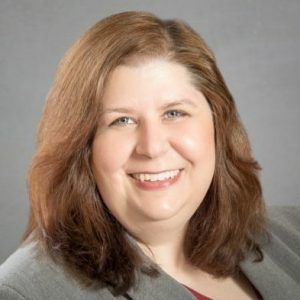 A member of the KCWiT Marketing & Communications Committee since June 2016, she also enjoys pursuing a Master of Public Administration at the University of Missouri-Kansas City and serving as board chairwoman of Pages & Chapters, a Kansas City- and Washington, D.C.-based family literacy nonprofit organization. 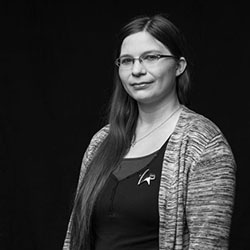 Adrianne is married to John Leacox, a dedicated software engineer, and she believes in equal educational rights for everyone and hopes that sharing the stories within KCWiT will inspire others to also pursue their dreams.